Muzaffarabad, Azad Jammu and Kashmir Public Service Commission is going to recruit the staff on different posts in the department of higher education commission. 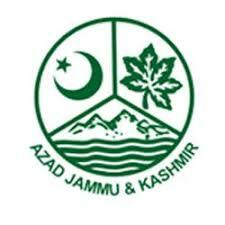 AJKPSC will receive the admission forms from the desired candidates till the closing date of 04 April 2019 and the candidates will send their application forms online. The candidates will follow AJKPSC recruitment of staff 2019 schedule and submit the application forms and connected documents and they should fulfill the eligibility criteria. The candidates should visit the website of AJKPSC regularly to get the information regarding test and interview schedule. the candidates can download the AJKPSC Recruitment of Staff 2019 application forms from the website and complete it and send it online within due date and late submitted application forms will not be accepted. You Can Get AJKPSC Advertisement Here.